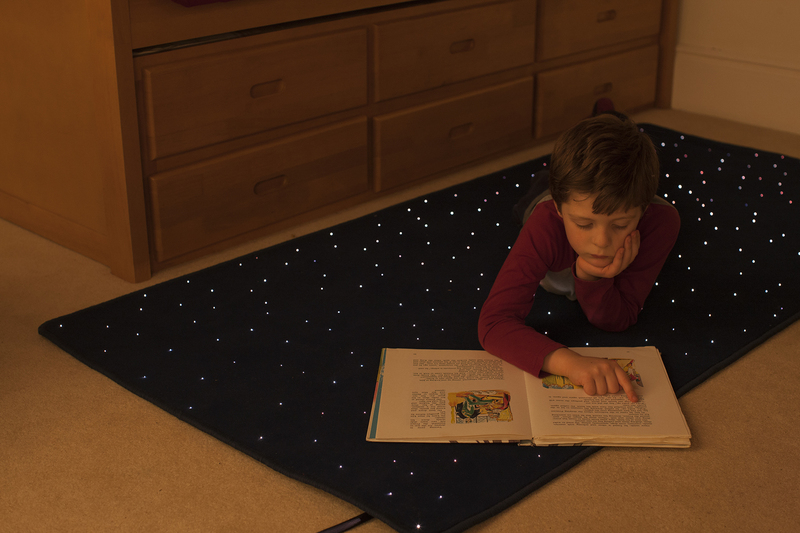 Our carpets are manufactured from high quality Vorwerk carpet with PMMA optical fibre woven into the pile. 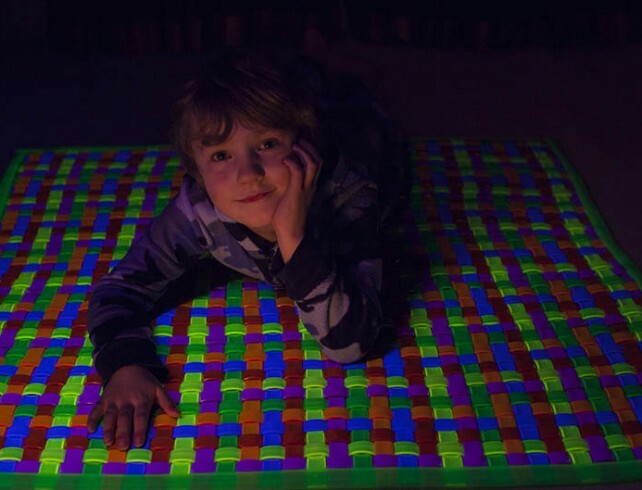 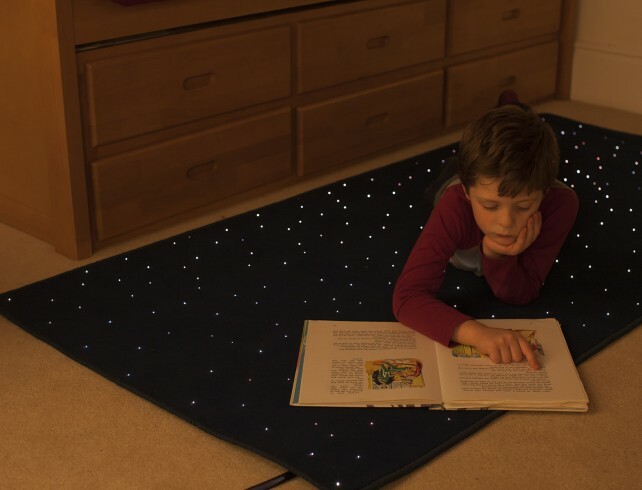 Safe for children and adults alike, these carpets contain no heat or electricity and can be used as a safe , sparkling play mat. 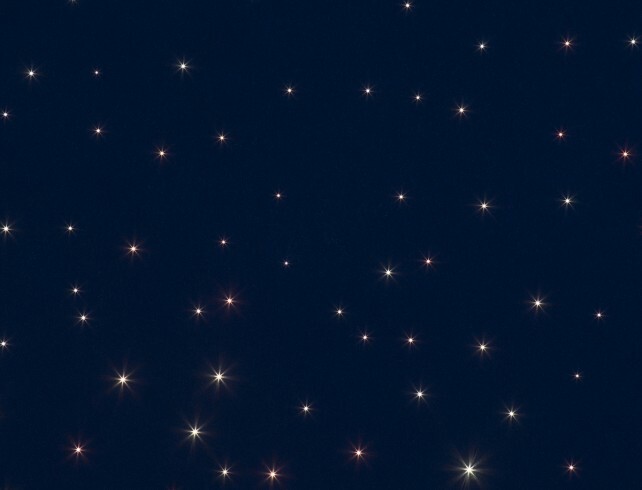 They can be used on top of existing flooring or can be attached to a wall to create a shimmering star scene. 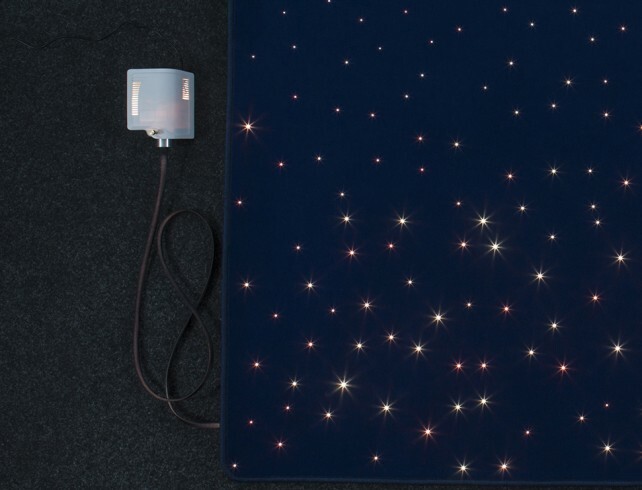 The STC1010 fibre optic star carpet is 1m x 1m in size and has 1.5m tails from one corner of the carpet to lead to the lightsource. 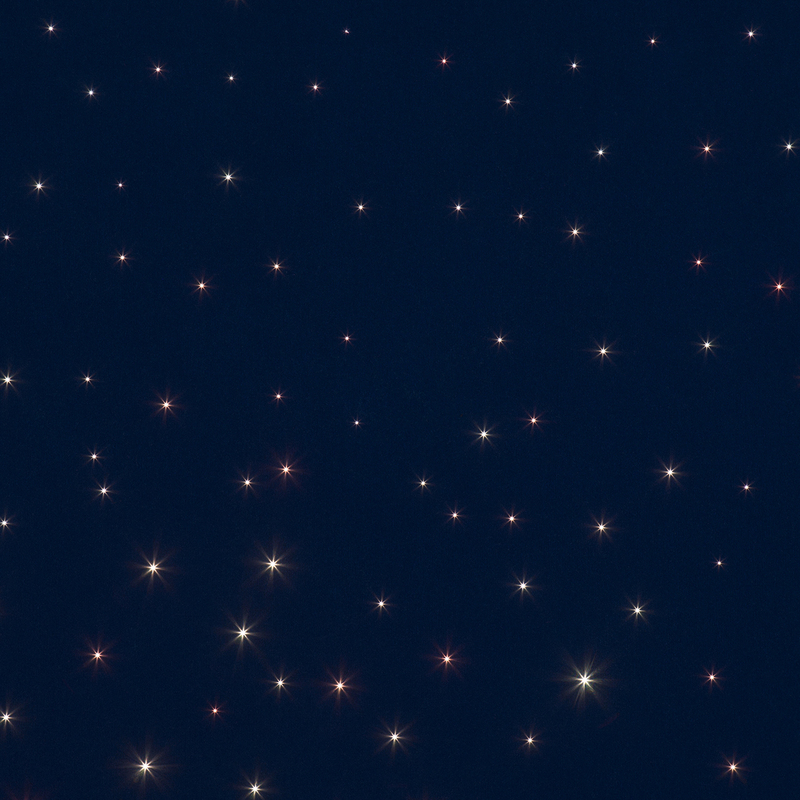 The STC2010 fibre optic star carpet is 2m x 1m in size and has 1.5m tails from one corner of the carpet to lead to the lightsource. 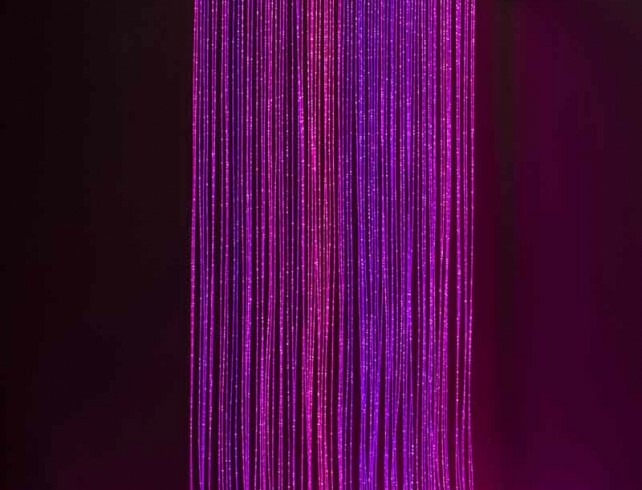 This kit comes as standard with Microled 100T LED lightsource, white light with a twinkle effect. 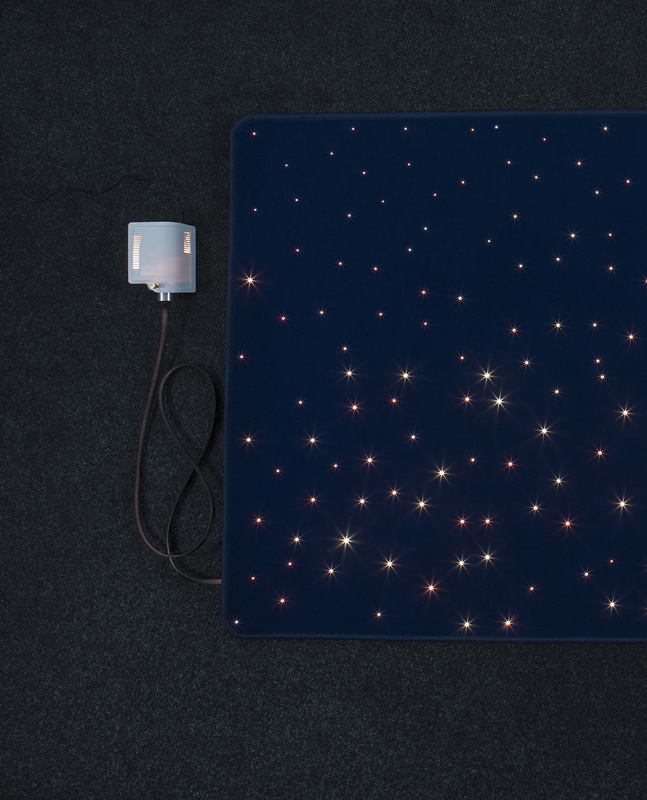 Estimated lamp life 50000 hours.This lightsource is suitable for spaces with low ambient light. 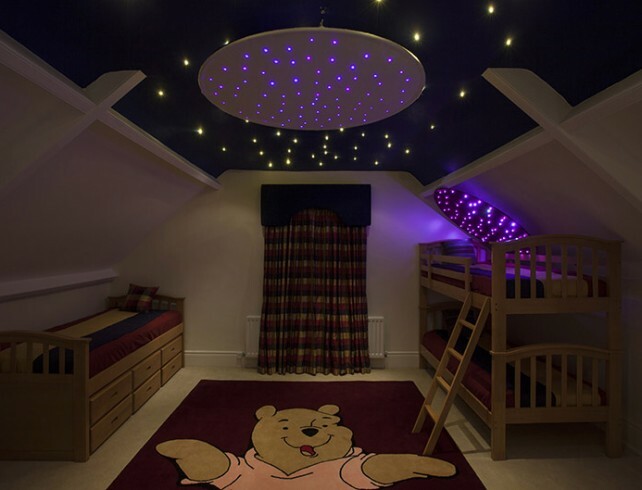 For brighter stars visible in higher levels of ambient light, such as a child’s bedroom with the main light switched on we recommend upgrading to the Luna LED lightsource.